Food Babe’s encoded affiliate ID. I’m fairly certain Hari donates a portion of each purchase toward the rehabilitation of GMO-injured penguins at the North Pole. Such is the extent of her scientific outreach. My dreams are sweeter each night knowing I’m helping fund her vital work. Oh dear. Vani Hari is selling a pesticide to children? Why yes, she is. At least it’s organic! But crude oil is also 100% natural and organic, so we can’t defend her actions using an appeal to nature. Vani is a skilled researcher, so this must be a mistake… can we just say neem oil isn’t toxic and move on? Ten dead children? So much for non-toxic! But that’s just one report, right? 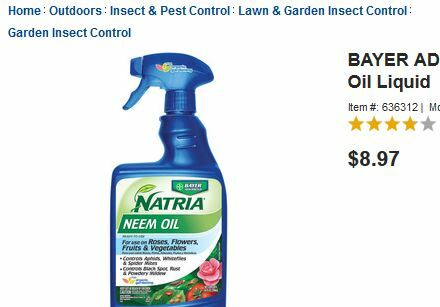 If I mention that neem oil is also sometimes used as a traditional folk medicine and not just a pesticide, detractors of the Babe will point out the Subway bread debacle: It didn’t matter to Food Babe that azodicarbonamide was used safely in one area (food)–since it was used in another setting (the manufacturer of yoga mats), it was dangerous everywhere. Maybe we’d better treat Vani’s pesticide just as she would: ignore it completely and move on to something else. All of those “natural” colors Vani is selling to your kids and giving away to her friend’s little girls? They’re all the same “toxic coal tar dyes” she warned would cause cancer and brain toxicity. What does Vani’s beloved EWG say about the Orange 5 she’s selling? With full disclosure that I’m a co-author and this could be considered an affiliate link, Marc Draco and Kavin Senapathy point out in our book, The Fear Babe: Shattering Vani Hari’s Glass House, that “coal tar dye” is a misleading term. These dyes are commonly derived from petroleum now, not coal tar, but once “derived”, they’re no longer petroleum. The good folks at Piggy Paints reaffirmed this in an email to me, and correctly point out that the dyes are tested under the authority of, and approved by, the FDA. But since Food Babe says they’re dangerous, isn’t it curious that she’s selling them? Looking at the big picture, Piggy Paint nail polish appears to be just as safe for its intended use as conventional nail polish. I hope the company won’t be punished because a hypocritical “activist” is selling this polish while simultaneously (falsely) linking the ingredients to myriad diseases. If not for their deceptive advertising, I’d be happy to buy Piggy Paint nail polish for my young nieces. I just wouldn’t buy it from Food Babe. 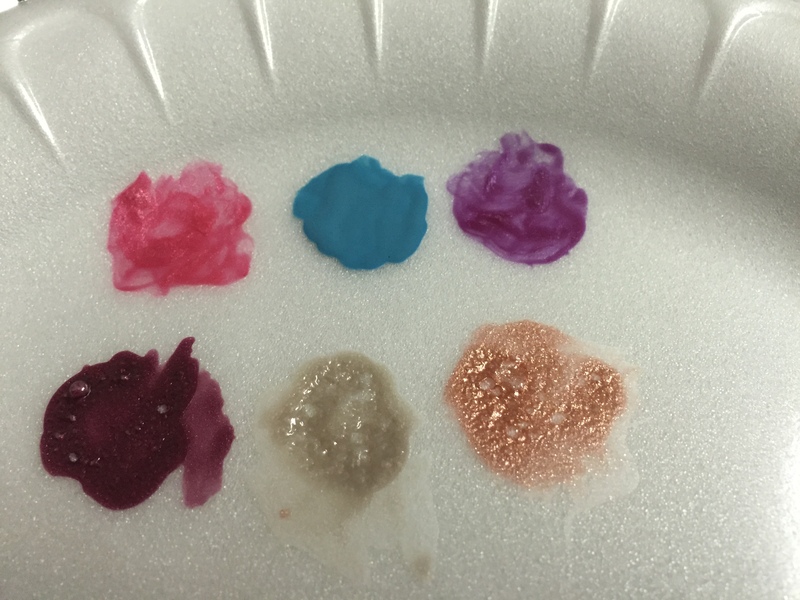 A skeptical mind would well ask why Vani and the Piggy Paint promoters selected a Styrofoam plate as the “substrate” (the target for their nail polishes) in the product demo that kicked off this article. 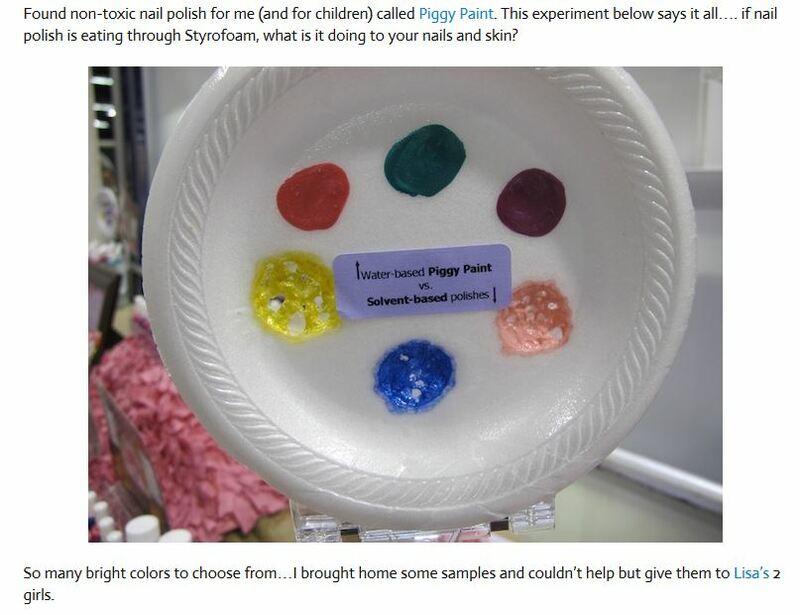 It’s almost as if they knew that the Piggy Paint wouldn’t eat through the plate while the competing nail polishes would, and chose styrofoam for that reason alone. In fact, that’s exactly what happened. Conventional nail polishes contain a component known as a solvent that helps keep the polish in the form of liquid until it’s time to apply it. Once on the nails, the solvent quickly evaporates, leaving behind a solid film of color bound to the nail. Organic solvents used in nail polish include acetone, ethyl acetate, and butyl acetate. Polystyrene is soluble in acetone and other organic solvents used in nail polish and nail polish removers. The solvents dissolve the polystyrene strands, allowing the air to escape. That’s all that happens. What looks like “melting” certainly isn’t an indicator of what’s going to happen to your nails, which–in case you haven’t noticed–aren’t made of styrofoam. Knowing the composition of your product and your competitor’s product, it’s easy to pull off a deceptive marketing trick like “melting” a plate. But wait! Two can play this game. What if, using the very same rules laid down by Vani Hari and Piggy Paint, I can accomplish the opposite of what they’ve done with their Styrofoam test? 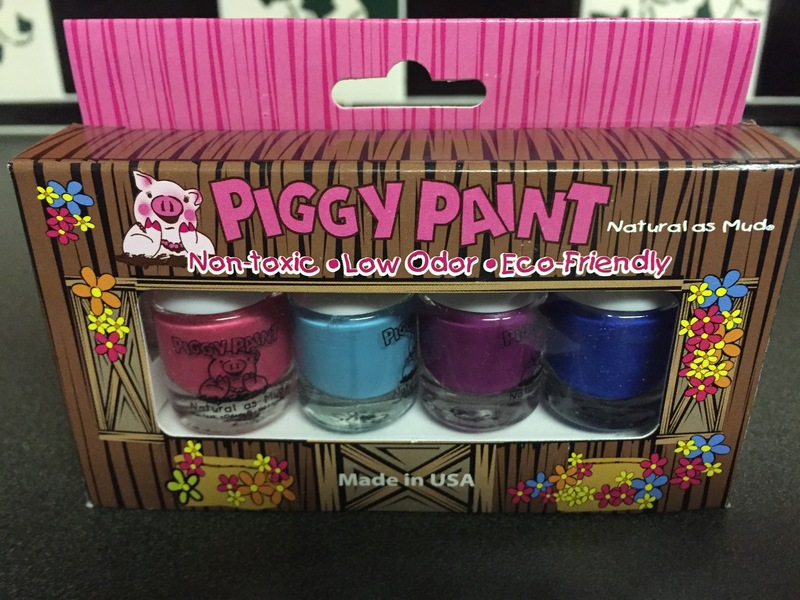 That is, would it be possible for me to make the Piggy Paints looks like the “Dirty Dissolvers” while the conventional nail polishes come out looking clean as fresh-fallen snow, not leaving a mark on the surface where they’re applied? Here’s a reminder of the rules: I have to use both Piggy Paint and conventional nail polishes. Just as Team Piggy/Vani got to pick a Styrofoam plate, I get to pick my own substrate. Whatever I choose, Piggy Paint must damage it. Conversely, the conventional polishes can’t do it any harm. With any experiment, we need a control group. Here is mine: swatches of three conventional nail polishes spread on a styrofoam plate, alongside a similar spread of Piggy Paint polishes. Note that the conventional polishes have bubbled and warped the plate just like with Team Piggy’s experiment, while the Piggy Paint leaves the plate unscathed. The control we’re using here affirms that we’re using the same type of nail polishes used in Vani Hari’s demo. Zut alors! Piggy Paint reacts violently with the discs, while the conventional nail polishes have no effect whatsoever. Look Ma… I just conclusively demonstrated that conventional nail polish is safe and Piggy Paints are dangerous. Or not. When I studied organic chemistry, we spent a huge amount of lab time learning to pick a solvent that would affect one substance while leaving another substance untouched. This is really important when, for example, you want to separate two compounds. 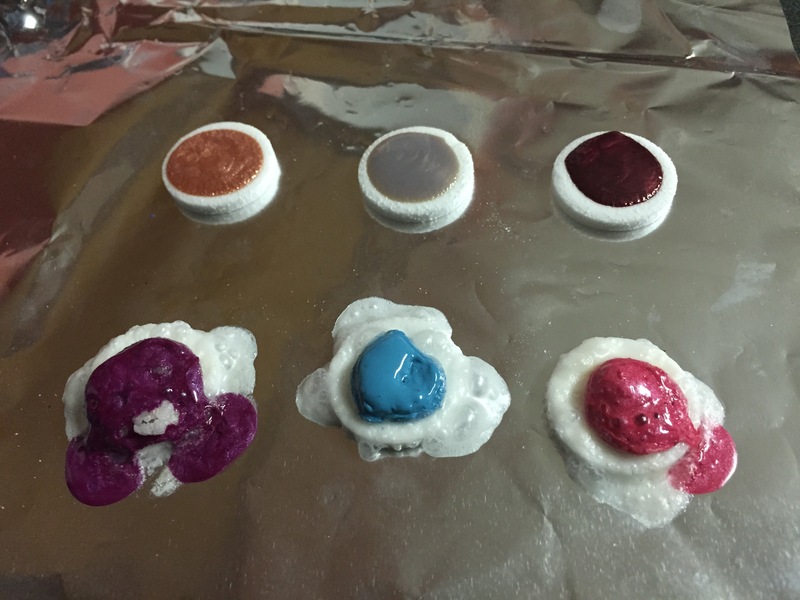 So, knowing the solvent used in Piggy Paints (water), I picked Alka Seltzer discs. The solid sodium bicarbonate (baking soda, for you Food Babe fans) and citric acid dissolved in the water. The chemical reaction between base and acid released carbon dioxide, causing the Piggy Paint nail polish to bubble violently. 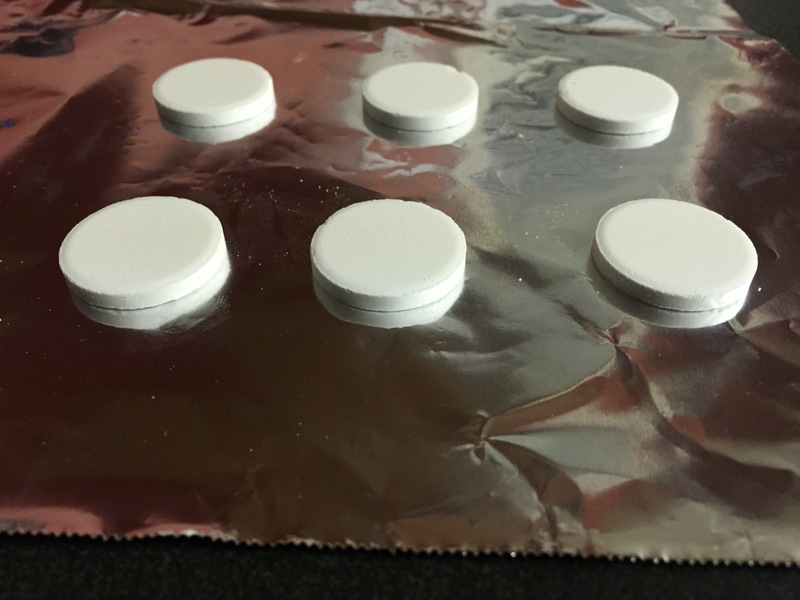 Alka Seltzer isn’t as soluble in acetone and other organic solvents as water, so before the discs could dissolve, the solvent evaporated, leaving the discs untouched by the conventional nail polish. Did I cheat? Well, only as much as Vani Hari and the Piggy Paint vendors did when they made that styrofoam plate appear to “melt” away. The moral of the story: armed with a modest chemistry education, it’s easy lead the casual observer into believing something is “safe” or “dangerous” with nothing more than a cheap science fair project. And that’s exactly what Food Babe and Piggy Paints have done. Noted polystyrene solubility in acetone, other solvents used in nail polish (ethyl acetate and butyl acetate are more common than acetone), sodium bicarbonate = baking soda, “Styrofoam” trademark, word “encoded” more accurately used than “encrypted” in describing Vani’s affiliate link. (13 Nov 2015). Added Revlon “Hot For Chocolate” ingredients as an example of a nail polish that used all organic solvents mentioned in this article. Kitchen chemistry shots by the author. Freely distributable for educational purposes, photo credit to “Mark Aaron Alsip/Bad Science Debunked” appreciated. Indian J Crit Care Med. 2013 Sep-Oct; 17(5): 321–322. This entry was posted in Food Babe, Science and tagged artificial colors, beauty, dyes, food babe, piggy paints, vani hari by Mark Aaron Alsip. Bookmark the permalink. Great article. I wonder though how many Food Babe followers will actually read it. Not many of them can read and the ones who can either can’t comprehend science or will choose not to. Awesome article! loved everything about it! we need more of these! Excellent article. Small quibble though, polystyrene is soluble in acetone, so it is more than just the air being released. The polymer is dissolving as well. Quibbles and corrections are welcome Jacob. I admit I was citing what I was told in class but will certainly do some more reading and make corrections. I want to get it right. Thanks! Acetone is not the most common solvent in nail polish (it’s actually the major component in nail polish remover). Butyl acetate, ethyl acetate, and isopropyl alcohol are the major solvents in nail polish. Otherwise, great article! Thank you for pointing that out! I’ll insert a correction with a note that an edit has been made! Wonderful suggestion! If there had been more time it would have been fun to wreak havoc on a whole bunch of materials to really drive the point home. I feared I was getting into TL;dr territory already. Thanks for reading and commenting! You may want to note sodium bicarbonate and citric acid are essentially baking soda and lemon juice. Googling them will probably scare Food Babe fans… I mean, oh noes, chemicals! Thanks Jessica. Will try to alleviate some of the fear for her fans; they do drop in from time to time! PLEASE archive links to foodbabe.com – who knows how long they’ll remain? I find that Chrome’s “save as PDF”/”print to PDF” feature works for this, and it helps if you check the “headers and footers” option. PDF is also a widely used format, so you can be fairly confident that it’ll be readable many years from now. I hate Food Babe, she’s an idiot. I do like Piggy Paints though. Not so much for the supposed safety of them, but because they don’t stink when you’re putting them on. I don’t like the smell of conventional nail polish and these don’t seem to have that smell. My computer randomly brought up the Rolling Stone’s “She’s a Rainbow” as I was reading this…gave the article another dimension entirely.